Reigning Sun, while sadly no longer active, was one of my favorite projects. 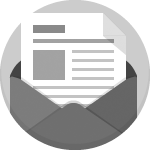 It was a network of gaming related websites that posted news, guides, and more. This design is also the closest to what Twisted Jackal looked like before it was redesigned. 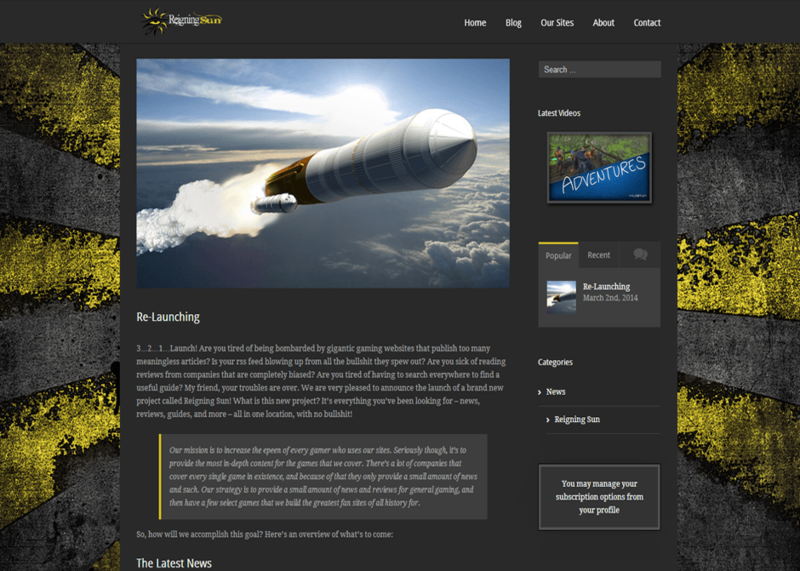 It was based on the Avada theme for WordPress, and then highly customized to fit my needs. This project was an entirely original creation and includes a custom logo design, as well as branding guidelines. The name, Reigning Sun, represents the Egyptian god of the sun, Ra. So the logo is the widely recognized “Eye of Ra”, with some added rays of light to make it look even more like the sun. As with all of my own personal projects, I went with a modern grunge motif which contrasts wonderfully with the Egyptian imagery. While it’s true that this project is no longer active, it will be resurrected one day in an entirely different form, but with the same branding. 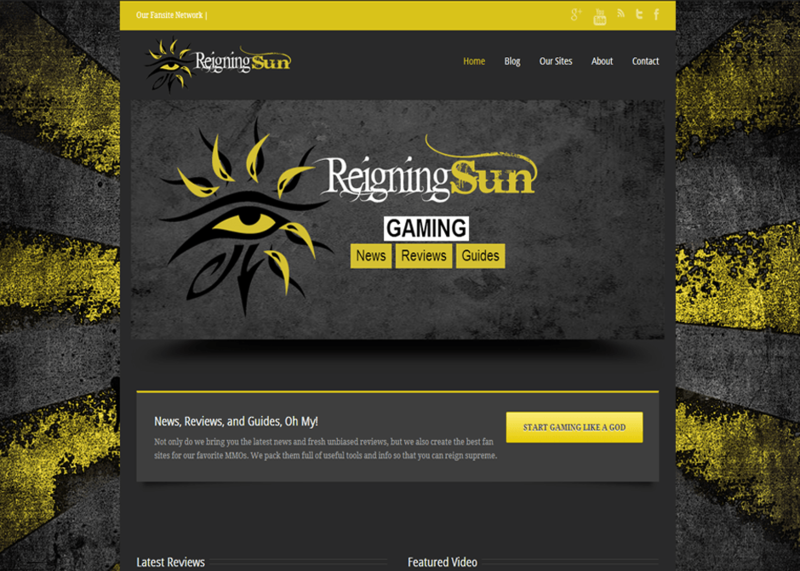 Reigning Sun started out as just a simple site for me to post video game reviews on. But then it grew into so much more – expanding into guides, and then a network of separate fan sites for specific popular MMOs. 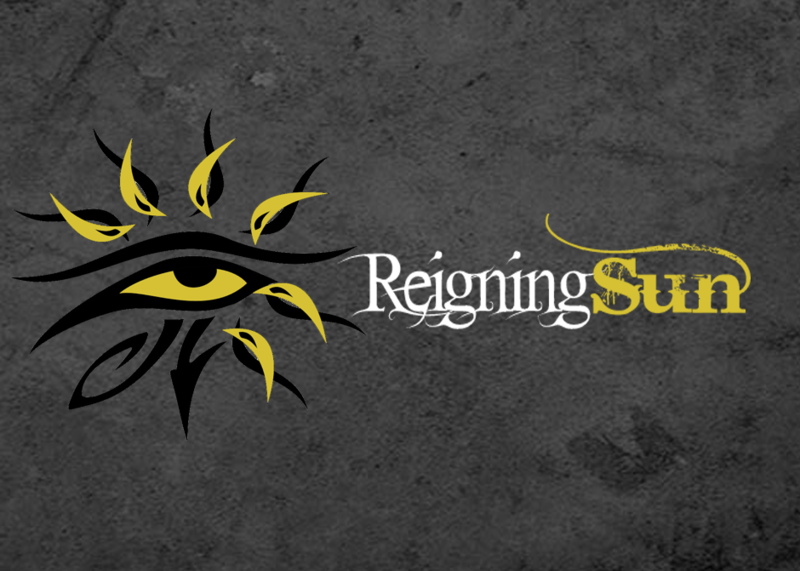 At its peak, Reigning Sun consisted of five different websites, each packed with the best guides and latest news for whichever game they represented.